Paul is a 1984 graduate of Stanford Law School, a 1981 graduate of Weber State University, and a 1974 graduate of Manitou Springs High School. Paul served in the United States Air Force as an Explosive Ordnance Disposal technician from 1975 to 1979, when he was honorably discharged. His tours of duty included Incirlik CDI, Turkey and Hill AFB, Utah. Paul and his wife have five children and several totally adorable grandchildren that Paul will be happy to show you pictures of if you ask. Paul is a director of the El Paso County Bar Foundation and spent several years as a Big Brother volunteer. Paul has a general business practice, emphasizing commercial litigation, intellectual property protection, employment, and transactional matters. Paul also serves as a mediator in complex commercial disputes. 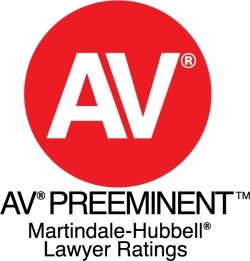 Paul has the highest possible Martindale-Hubbell peer rating, AV® Preeminent™.